In The Guardian – again! What’s better than getting your client into The Guardian’s Christmas gift guide for the second year in a row? Getting two of their products featured, of course! One of the challenges with PR is that you can’t tell the same story twice, even when it is completely target for a given publication; after all, it’s called ‘news’ for a reason! So we knew it would be hard to follow last year’s success for Vinyl Revolution, when we managed to get them into The Guardian’s Christmas gift guide. In 2016, we had the advantage that Vinyl Revolution had only just launched their first pop-up store, selling vinyl records and an exclusive range of specially designed clothing, art work and home ware inspired by rock and pop icons. Trying to interest the same journalists in the same products was always going to be a big ask. So how did we manage to beat our success of last year? By knowing what journalists are looking for and telling the story in a way designed to whet their appetite, even when competing with hundreds of other emails vying for their attention. The net result? 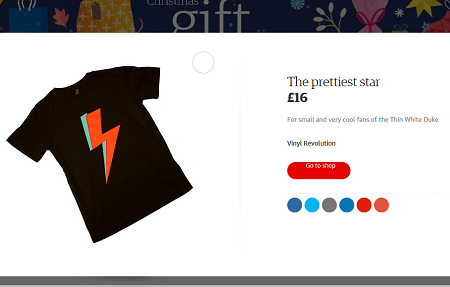 Two Vinyl Revolution products featured in the 2017 list, with the Bowie Bolt T-shirt becoming the most-shared item on the list. 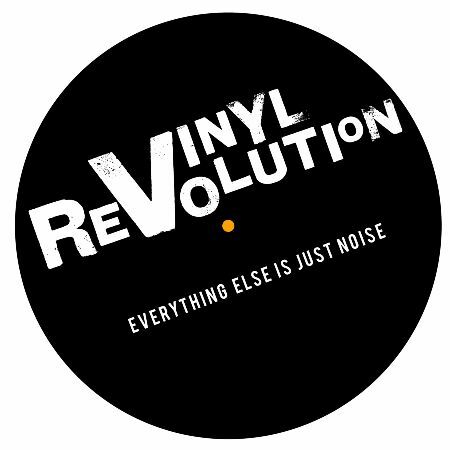 Our Christmas success builds on the extensive coverage that we achieved for Vinyl Revolution when they launched their flagship permanent store in Brighton in July, with articles in every target publication as well as broadcast interviews. Having put Vinyl Revolution firmly on the radar of Brighton and East Sussex, it’s great to have got them national exposure once again.